Seal the online presence of your brand! Promote your online business with the help of unique Social Media Strategies and enjoy a competitive edge over your contemporaries. Nowadays, with the advancement of digital media, more and more businesses are getting online for making their presence in the worldwide market. Many business owners and entrepreneurs are choosing an online platform for promoting their products and services to a wide range of customers. But due to huge competition among the diverse marketers, it is becoming quite difficult to reach the customers due to the huge traffic in the search engines. Thus, it has become essential for the marketers to reach customers by employing a unique social media strategy. With the emerging growth of multiple online platforms, Social media has now become one of the most popular and ever-growing platform which has topped in engaging customers from the various locations. It has undoubtedly become one of the quickest and most efficient ways to get connected with the customers. It is uniquely used for digital advertisement and online marketing. As this is a low-cost opportunity, many businesses are taking advantage of this platform to grow their audience and establish their place in the global market. But it requires a keen understanding of the social media for establishing a place in social networking. Therefore, marketers and researchers have found out some strategies which work the best for online marketing. A social media strategy is a summarized form of everything that you have hoped and planned to achieve on social media. If you are promoting your business online via social media, then it is very important to know and implement the strategies. By doing this, it will guide your actions and accordingly inform you whether your business is succeeding or failing. In social media, every reply, like, post and comment has an individual purpose. If your strategy is more specific, its execution will also be quite effective. A strategy actually defines the main aim of your social media presence and it sets the parameters for what and how it should be delivered. It should be supported with a tactical plan which includes the resources, channels and budgets to achieve it. A very important part of any social media strategy is to know which tools should be used and on which platform. In the word of social media, if you want to create a winning social media marketing strategy for your business, you have to walk through certain steps. It is important for your marketing team to implement successful social strategies for taking your business to a new height. Take a look at some of the most trending and effective strategies which are used for social media marketing. The first and foremost step of any strategy is to understand your business and based on that, establish your goals and objectives. Without specific goals, it is not possible to measure your business results. Keep track of the meaningful metrics such as web referrals, conversion rate, leads generated, etc. to prove the real value for your business. If you want to get executive buy-in and investment from your business, you should start developing your social media marketing plan and ensure to align your marketing strategy with your social media goals. Understanding your audience is one of the priorities because if you don’t understand the requirements and needs of your audience, then how will get to know which products they need? Thus, before marketing your brand and products on social media, you should take a look into the demographics of the most important social channels. Accordingly, you should do further analysis on the customer demographics on social media. Regardless of making assumptions, it is better to create audience personas which will also allow you to think about the potential fans, customers and followers as real people. Even the Social media analytics provide a lot of valuable information about the followers who are interacting with your brands and products on social. It will help in refining your strategy and target your social ads in a much better way. The most important step of a social media strategy is to test and evaluate the social metrics associated with your overall goals. Engagement of metrics is a better option to do, apart from viewing likes and followers as the truth to campaign because building long-lasting relationships with the customers actually needs work. Before you start to create contents, and design websites for your online business, it will be a smart idea to investigate your competitors who are already working in this field. By analyzing the competitors’ strategies, you will find various new ways which have made their online business successful. You can simply do a competitive analysis to get a good sense of what is expected in the industry. You might also Google search your competitors which will help in setting some social media targets for your own business. By conducting proper research, you can even track your competitor’s accounts and keep an eye on the valuable phrase, keywords and industry terms that people are searching for. With time, you should also evaluate your current efforts by conducting a social media audit. It will give you a clear picture of what purpose the social account serves. If you think that the account is worth keeping, then you should make the necessary strategic redirection or else, if you find that the account is outdated, then it’s no longer worthy. Social media contents are undoubtedly one of the most important strategies that are used for marketing products and services online. If you are a newcomer in this field, then before planning out to create contents, you should follow the blog skippers to get an idea of building more effective themes. To begin with, it is recommended to create contents that will fit your brand identity. Thus, you should avoid reaching out to less popular demographics without a proper strategy. You should also ensure the fact that the contents should be relevant to your brand and should not be filled with excessive promotional messages. Another tough challenge of visualizing the content is to create it on a daily basis. It will show how highly visual your content is to the marketers. By using strategic plans, you can either create a new profile or improve the existing profile for optimizing your social media account. You should also be sure that all profile fields are filled up correctly, images are correctly sized and you must use keywords which can be used for searching your business online. The main purpose of promoting your business via social media channels is to build networks. Here, the business owners can interact with the audience, discuss topics and share contents because the engagement of the audience is the core element of networking. Just by talking to your audience and making your presence in the social media, you can earn respect as a brand. It also helps in increasing the audience’s awareness of the brand. You must also use the right social media monitoring tools to interact with and respond to customer service inquiries. Make sure that your managers are always present to answer the concerns related to our products or services. With all the organic contents and updated algorithms, you should engage more and more customers to your social media site and it will ultimately result in reaching the majority of the audience. Surveys are a great way to analyze how well your strategy is working to achieve your business goals. It is definite to analyze your efforts on a timely basis to verify how the social media strategy works for your business. If you have a bird’s eye view on the social media activity, you will be able to analyze your efforts as well as it will help you in putting the things into perspective. By setting your business goals, important metrics and network preferences, you will make the right decisions for your social marketing. It is really a difficult task to make the right choices in the social media. But if you implement appropriate strategies, then no one can prevent your brand from gaining popularity as well as from generating huge revenue. You can also use various social media tools for tracking your success in social media platforms, as they are encrypted with a full suite of analytic and reporting features. If you want to streamline your social media marketing with various smart strategies, it is important to re-evaluate your strategy regularly. For constantly testing your business strategies to meet the changing circumstances, you can come in contact with our tech experts at UAE Website Development. We have a certified team comprising experts in building sensible and smart strategies which go hand-in-hand with your business objectives. On top of that, our team keeps pace with the latest updates in the social arena and integrates them well into the overall marketing plan. 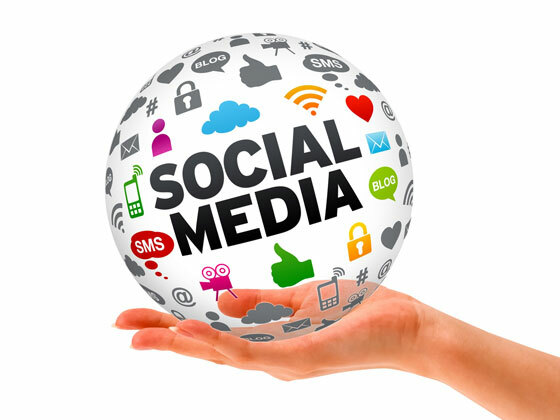 We are one of the top-notch service providers for a Social Media strategy. We work with an award-winning team who strives to offer the best strategies for your social media promotion of business products and services. Our team at UAE Website Development consists of professional marketing experts who are skilled and have gained experience in creating top strategies for several online businesses. 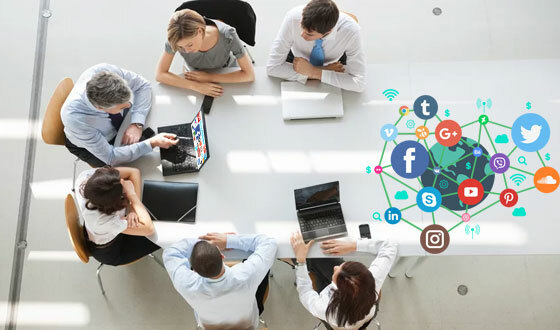 By using advanced strategies and techniques and implementing them in your social media platform, our experts help in executing social media campaigns. They are well accustomed with the strategies related to digital branding and advertisement. Are you searching for affordable strategies for your social media account? Then, it is the right time to put an end to all your worries. Just place a call at our helpline number 042053349 and interact with our professional marketing team. We talk to our clients and based on their business requirements, we use the different social media strategies to promote the brand, products and services online. We are available 24*7 to assist you at the time of your need. You can also use live chat support to talk to our marketing team and get smart strategies in a simplified form. 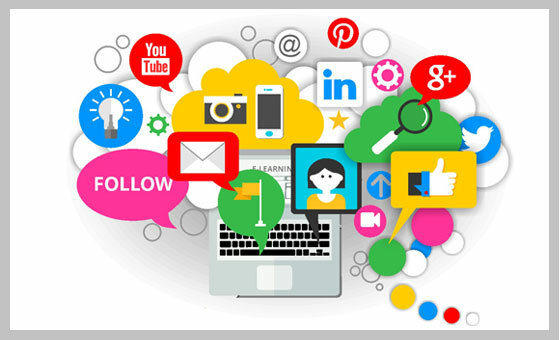 You can trust our services to avail reliable strategies for enhancing your social media business.